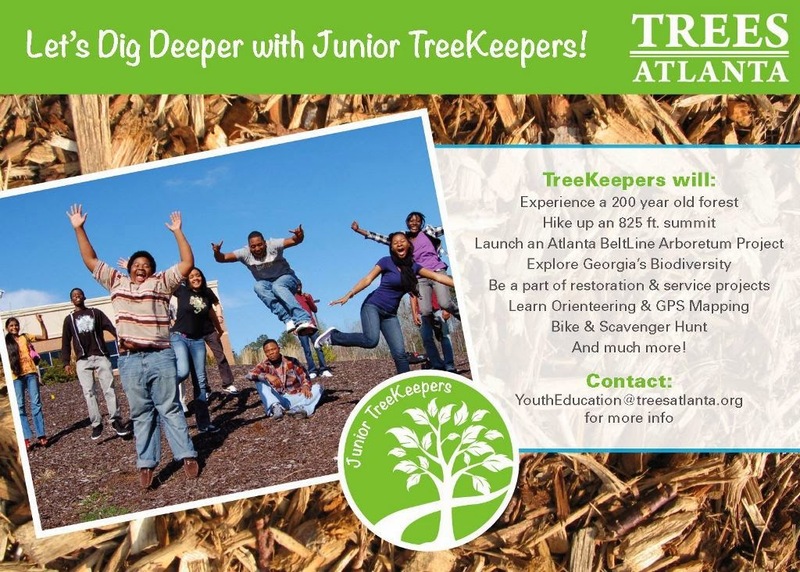 Junior TreeKeepers is a summertime extension of Trees Atlanta’s popular youth environmental education programs. Inspired after our highly successful TreeKeeperscertification program, Trees Atlanta is implementing a Junior TreeKeepers program for Atlanta middle and high schools. During the summer holiday, Junior TreeKeepers offers five days of interactive and hands-on activities in environmental science, as well as field trips to local attractions such as Stone Mountain and 200-year-old forests! Lunch, snacks, hat, journal, and transportation to trips are included. $250. A limited number of scholarships are available! Trees Atlanta is a local environmental non-profit that has been operating in Atlanta for 29 years. (Next year is the big 3-0!) They've planted more than 100,000 trees since 1985, and are excited to expand our youth education programs with this summer camp. Help us spread the word to kids who would love this.